The Costa Blanca or the ‘white’ coast is situated in South-Eastern Spain between the towns Denia and Pinar de la Horadada. Due to the combination of the climate in that region and the mediterranean climate, the Costa Blanca is seen as one of the healthiest places on earth to live. Especially the proper air and the high salinity in that region are two important factors. An excellent medicine for people with rheumatism, because it recovers the acidity of the body. Since, this disease is caused by toxic matter stagnated in their bodies, this climate proved to be an excellent medicine. Therefore, the Costa Blanca is the ideal place to live permanently, not only for people with rheumatism but for everybody. The Costa Blanca is mostly known for its beautiful places such as Altea, Calpe, Benidorm, Alicante and Denia. What to do in Costa Blanca? Calpe and Altea are the most suitable places, if you are searching for a calm place in the Costa Blanca, in order to enjoy the Spanish culture and lifestyle. In Altea, you will find a beautiful pebble beach with small shops and joyful restaurants. On the other hand, Calpe is a traditional fisher village with scenic, old streets with white houses. However, the Penyal d’Ifac, a 300 metres high rock sticking out of the Mediterranean Sea, is the most important characteristic of Calpe. In order to enjoy beautiful and joyful boulevards which are directly situated next to the coast, you have to visit Benidorm and Alicante. Long sandy beaches and massa tourism are the most important characteristics of Benidorm, which is worth to visit. Alicante is known as the place where people fly to, in order to continue their journey to other destinations in Costa Blanca. This is very unfortunate, because the city of Alicante is worth to visit or to live permanently. The Explanada de España forms the centre of the city, which is surrounded by beautiful and colourful flora. 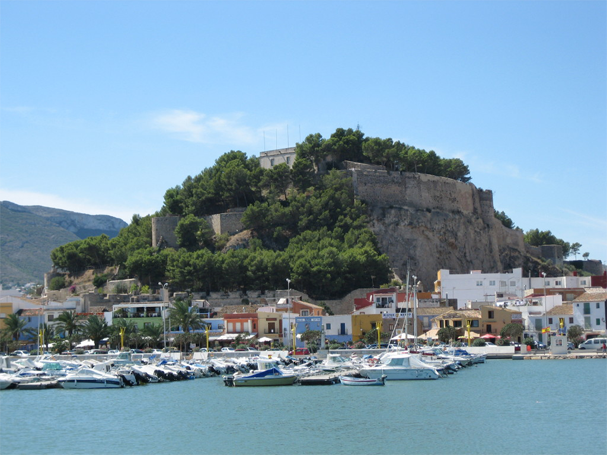 Thereby, in Alicante you will find the Castillo de Santa Barbara, a castle on top of the mountain Monte Benacantil. This castle provides the visitors with an amazing view of the city. Furthermore, there are also other sights in the Costa Blanca, which are worth to visit. The charming village of Guadalest, which is situated 23 kilometres from the touristic city Benidorm, is one of those examples. The castle of this village has a rich history that is presented to its visitors. Learn more about the cultural heritage and old lifestyle. A few kilometres near this village, you will find the historic city of Villajoyosa. It is worth to walk near the old part of the little city, which is situated directly next to the coast. In that part of the town, you will find old houses with different and magnificent colours. Thereby, Villajoyosa is also known because of its chocolate factory, Valor. Fiestas de Moros y Cristianos (the feast of the Moors and the Christians) is being outrageously celebrated in almost every corner of the Costa Blanca. At this authentic event, you will find amazing parades, many fireworks and delicious food and drinks. The most popular Fiestas de Moros y Cristianos is held at the village Alcoy (Alcoi). Because of the crisis, the banks repossessed many properties, such as villa’s, apartments, houses etc. At the moment, the banks want to sell those properties to potential buyers, which causes a decrease in prices. Therefore, don’t wait too long and start thinking about purchasing your dream house in Costa Blanca.